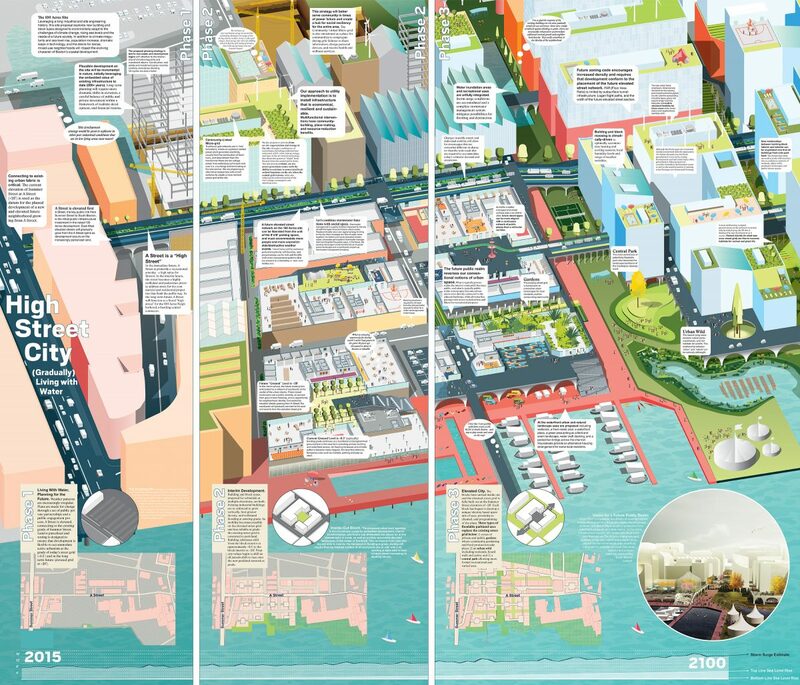 The Boston Living with Water competition, launched by the City of Boston, Boston Harbor Association, Boston Redevelopment Authority, and Boston Society of Architects, called upon the international design community for solutions envisioning a more resilient, more sustainable, and more beautiful Boston adapted for end-of-the-century climate conditions and rising sea levels. The Utile team’s proposal takes the long view, with a focus on the 100 Acres section of the Fort Point Channel District, representative of large urban mixed-use redevelopment opportunities across Boston. For centuries, Boston has been sculpting its shoreline and landmass for the purposes of densification and economic expansion. We see the response to sea level rise as an opportunity to resume these fundamental activities of city-building. Faced with this dilemma in the 19th century, we would simply add more fill, and bury or demolish any existing structures. Today, we face a more mature and complex urban fabric with historical buildings, diverse and evolving land use patterns and property ownership, all of which preclude those traditional engineering solutions. To escape the rising tide, we need a “21st century” strategy, which 1) creates a long-term planning framework accommodating the GRADUAL evolution of a new, elevated street and access network and 2) allows the current grade to adapt from a functional access level to an increasingly wet, ecologically diverse open space asset. Our approach is conceived as two ground planes, built in phases, and changing in function as development and sea level rise occur. 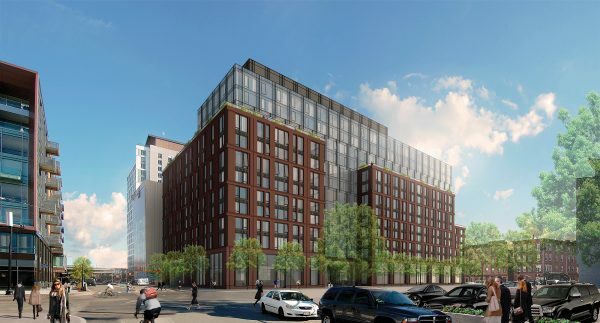 Base Level: Existing grade, typically +8.5’, continues to provide a functional ground plane for the near term, including primary building access, parking and waterfront access. As flooding increases, this level transitions to open space “greenways,” graded with the displaced fill from new development to create a variety of ecologically adaptable habitats and recreational landscapes. Podium Level: Typically +28’, is a network of elevated access roads which build off the existing elevation of Summer Street, originally raised to span over the rail lines to the east. Beginning at the intersection of Summer and A streets, the Podium Level network will gradually advance south along A and then east and west as development occurs. The approach is opportunistic – new infrastructure should not merely protect existing and future assets, but should catalyze adaptable and beautiful neighborhoods designed with responsive vegetated systems and innovative urban block and streetscape types. To accommodate near term flooding, the plan is broken into a series of blocks internalized as courtyards, which can be raised and linked to an evolving network of access bridges. 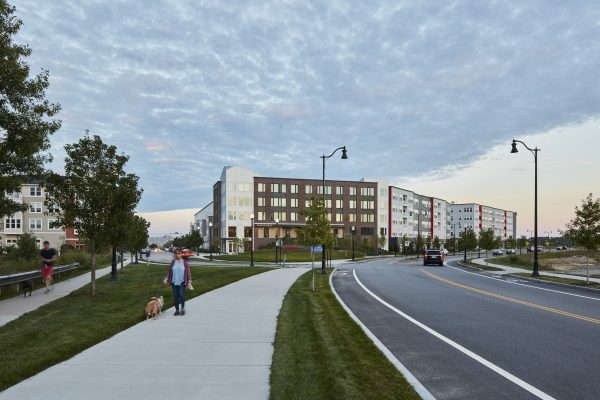 This slowly emerging elevated neighborhood is complemented by multi-tiered open spaces, consisting of new, “soft” tidal marshes at the water’s edge, floodable spaces occupying former road networks, and elevated hardscapes used for pedestrian connectivity, views, and cultural expression. Just as the elevated A street, “High Street,” provides a primary armature for street connectivity and development (a “High Spine”), a main central axis of potentially floodable park area becomes the landscape backbone of the masterplan development, allowing connections within a general pattern of potentially floodable public green areas. Balancing the public and private investment in the development of this district is essential to its success. Proximity to water needs to be leveraged into an asset rather than a liability, so that public investment in infrastructure is matched by increases in taxable private property. As the channel is increasingly de-industrialized, its open spaces will become more valuable to the abutting properties. 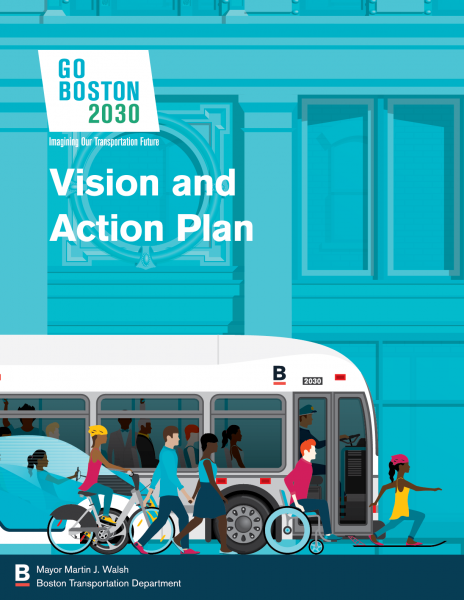 Our assumption is that the incremental cost of multi-leveled access and is more than offset by prime waterfront access, proximity to the region’s largest public transportation hub, and downtown Boston. We see our solution as specific to the particular urban morphology of the 100 Acres, but also adaptable to low lying coastal industrial districts in any city.